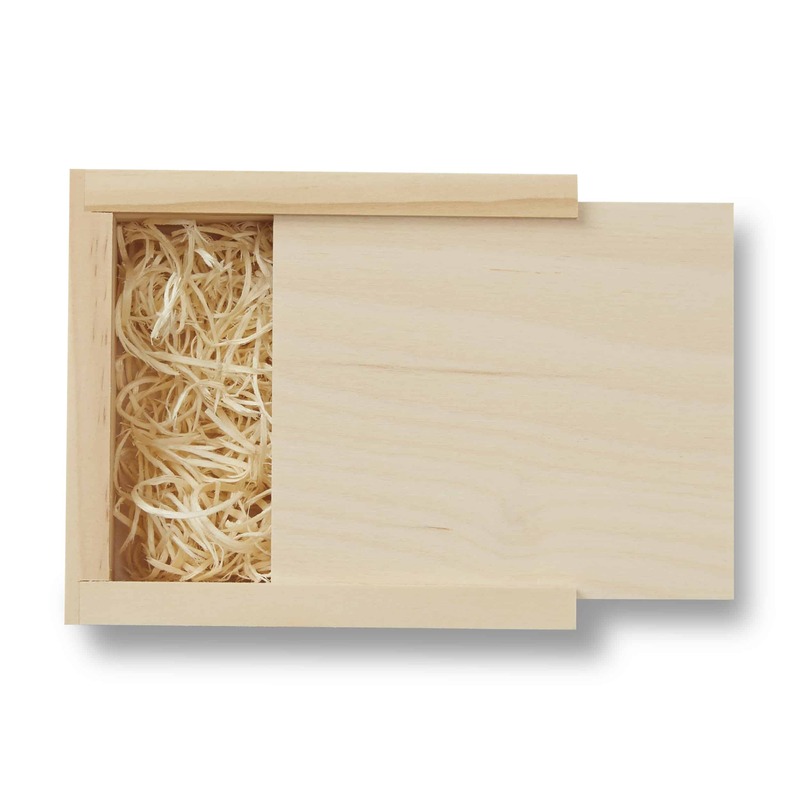 Beautiful blonde pinewood box features a fully customizable slide-off lid. 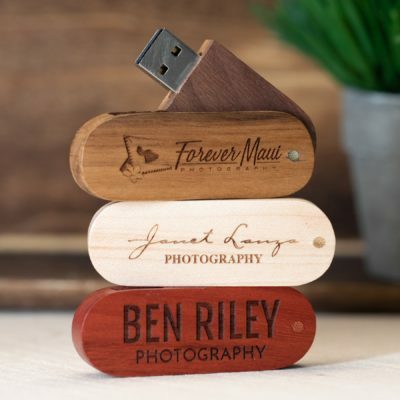 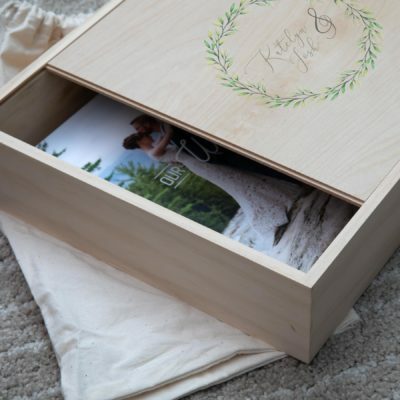 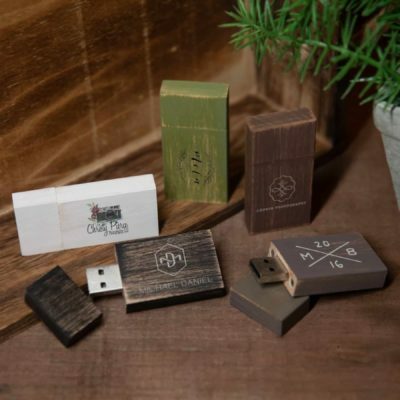 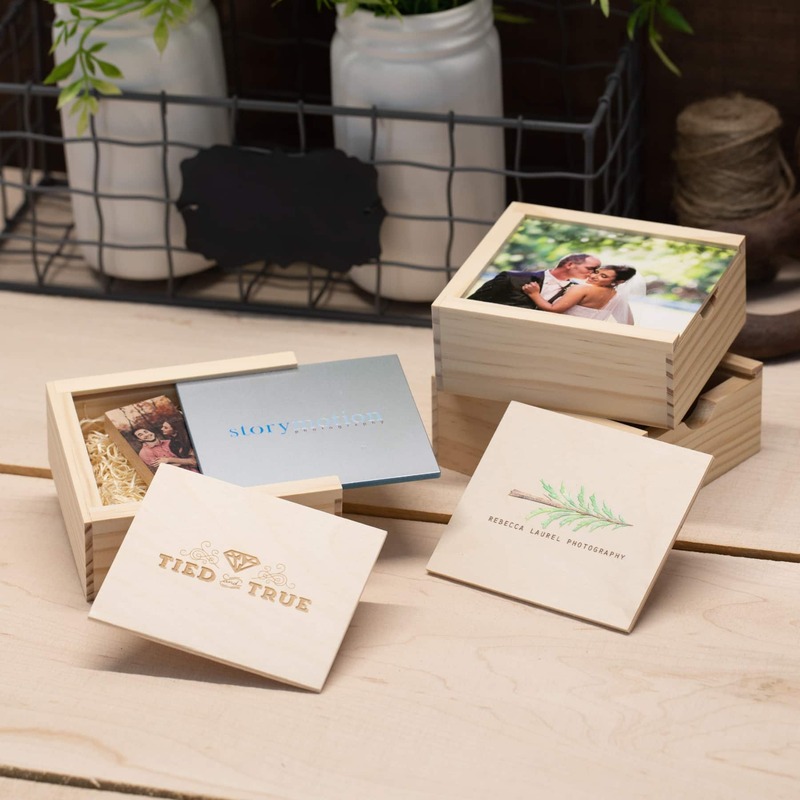 The Rustic Wood Slide Flash Drive Box is a perfect way to deliver images for that rustic client. 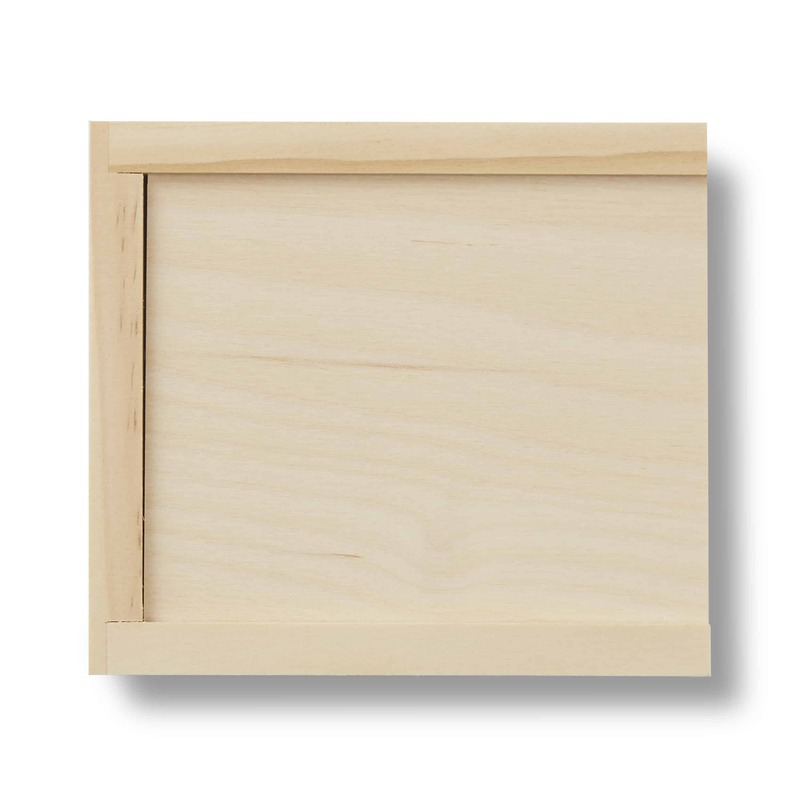 REQUIRED: Before proceeding with customization, please choose a 'Box Lid Color' above. REQUIRED: It is required to use a template for the full bleed customization of this product. 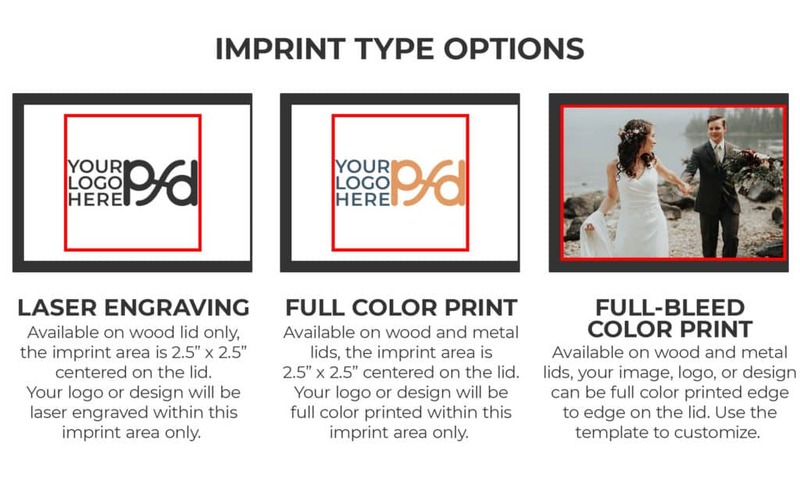 Please download the template, follow the instructions and then upload your saved template file below. 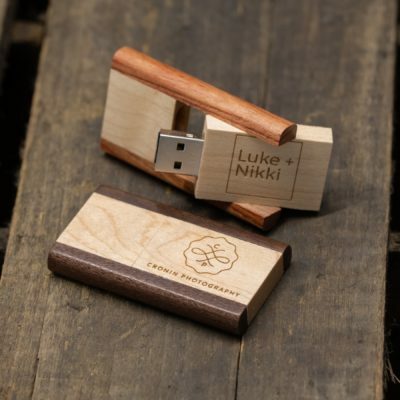 The secret to success of the Rustic Wood Slide Flash Drive Box lies in its simplicity. The smooth finish of the plain blonde wood, clean lines, right angles and flawless construction will be immediately noticeable to your clients when they hold it in their hands for the first time. 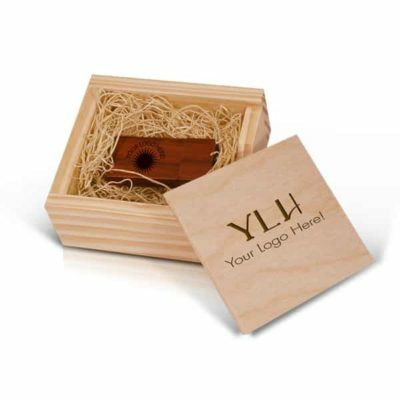 The lid, which slides on and off in a dedicated groove cut precisely into the box, can be laser engraved or full-color printed on the top with your logo or clients’ names. 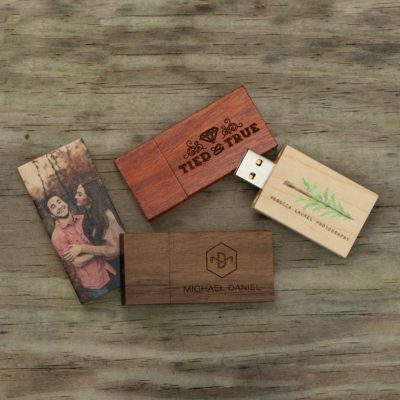 Your chosen flash drive fits nicely inside and lies on a bed of eco-friendly Aspen wood wool for cushioning. 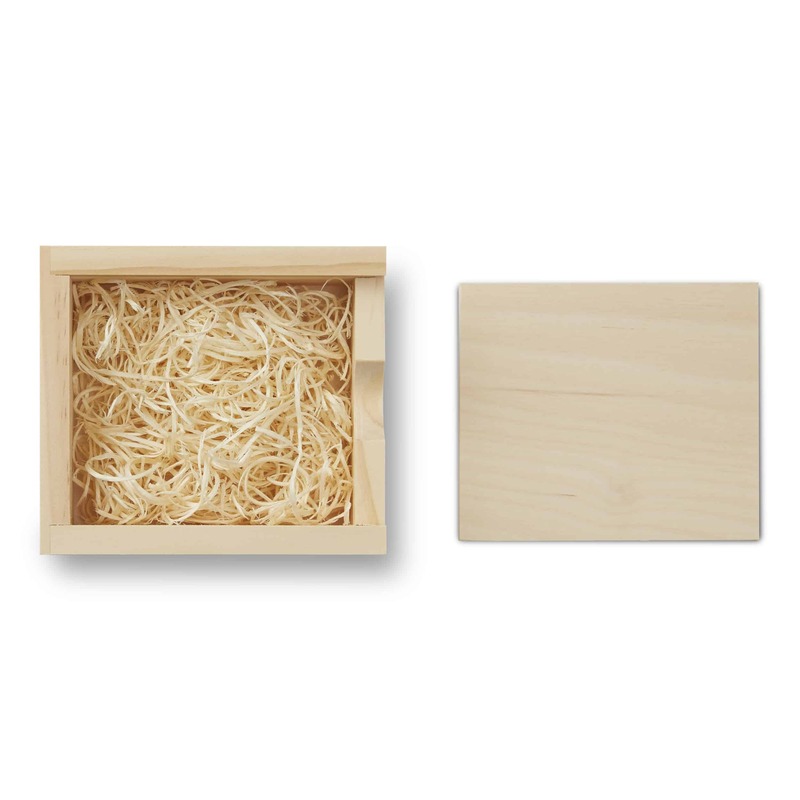 Overall, the feeling of this box is sturdy while not being heavy or cumbersome. 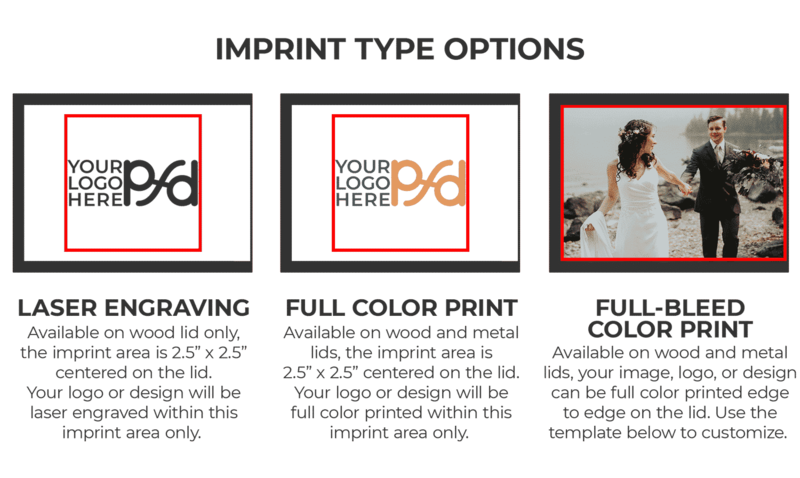 Click to download the full-bleed template.